The BBC launched an investigation into a Pegatron plant that Apple uses to manufacturer its products in China, and found poor treatment of workers, after Apple has stated several times that it’s cleaned up its act. The British media giant found standards on workers’ hours, ID cards, dormitories, work meetings and juvenile workers were being breached at the Pegatron factories. 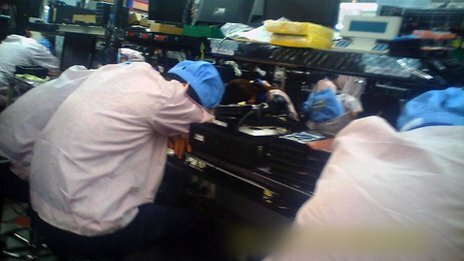 It even recorded workers falling asleep on the production line after a 12-hour shift. The BBC used undercover reporters to find issues within the supply chain. One reporter found the longest shift worked to be 16 hours, and at the end just wanted to sleep – not even wanting to get up and eat. Another worker had to work 18 days in a row without a day off, even with requests for days of rest. On another note for Politics & Society, here is an interesting Stiglitz think on inequality. In my view, the heterodox crowd has made some good criticisms of Piketty but I have yet to see them develop some useful models outside of Galbraith!